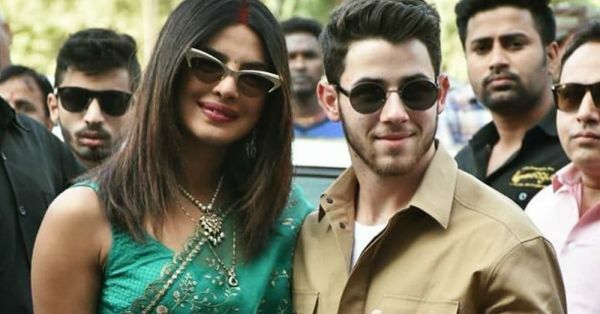 Priyanka Chopra and Nick Jonas are finally Mr & Mrs and the country's abuzz about their delightful mehendi and sangeet pictures... but looks like their wardrobes haven't had the 'happily ever after' they deserve. 1. Where's my mail, Nick, 'cause you straight up look like a desi daakiya (mailman/ postman)? 2. Dear Priyanka, remind me never to acknowledge teal as a colour. Ever. Again. 3. Sabyasachi, you need a month-long vacay. Stat. Bollywood shaadi season has OBVIOUSLY caused a creative block. 4. Priyanka's tailor dropped the ball on her saree blouse - the cut, the fit... How could you, masterji?! 5. 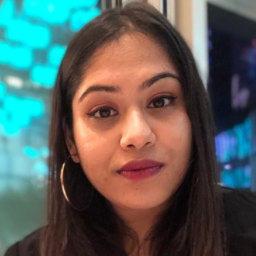 Thank God that bindi is almost invisible to the naked eye. Close call, eh? 6. Tennu cat-eye chashma, tennu cat-eye chashma, tennu cat-eye chashma jachda NAI... take them off, this instant, PeeCee. 7. Me to Nick: Bhaiya, Lajpat Nagar chaloge? 8. That sindoor trail is so long, I could take a hike on it. I don't like hikes. 9. PeeCee, B-grade '90s movies called... they want that saree-drape back. 10. Mimi Cutrell, where'd you go?!! To be fair, it's probably a hangover caused by the 3-day revelry in Jodhpur. Also, Nick and Priyanka's outfit track-record has been quite smooth. Remember when the two coordinated in white outfits? Adorbs. 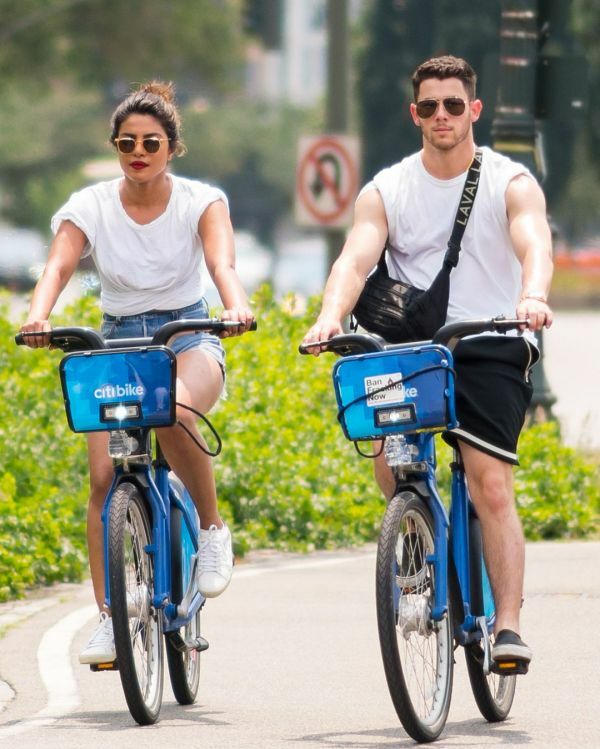 And when Nick and PeeCee went casual to bike around the city together. On point! Who could forget this picture of Nickyanka giving us winter-style goals for life? On that note, here's hoping everything is smooth sailing from here on - for them and their wardrobes.